I’m not sure if I properly caught this on the toggle-switches, but is that vertical line, in place of the ‘ON’ text, a ‘1’? If so, and if it’s matched by a ‘0’ for the off position, my feedback would be that it’s visual noise. Hypothetically, my mother will understand the toggle because of the background (blue/gray) and location of the toggle control (right/ left), but won’t realize she’s also looking at the 1/0 symbols unless it’s pointed out. Until then, they would only distract from her intuition based on those other indicators, which match her expectations set by other recent platforms. If that’s not a 1/0 symbol, my bad, but I’d still second the alternative suggested above: use check-box style “check mark”/X symbols instead. Those don’t need to be translated, unlike “ON”/”OFF”, and still provide an accessible, visible difference in addition to the color contrast and toggle location. Like new theme. The only thing i still wish is less brighter text on Adwaita-dark variant because it creates some kind of glow effect. Harder to read and cause eyes strain. Big contrast in color brightness. The same goes for icon theme with dark variant gtk theme. I really like the theme changes! 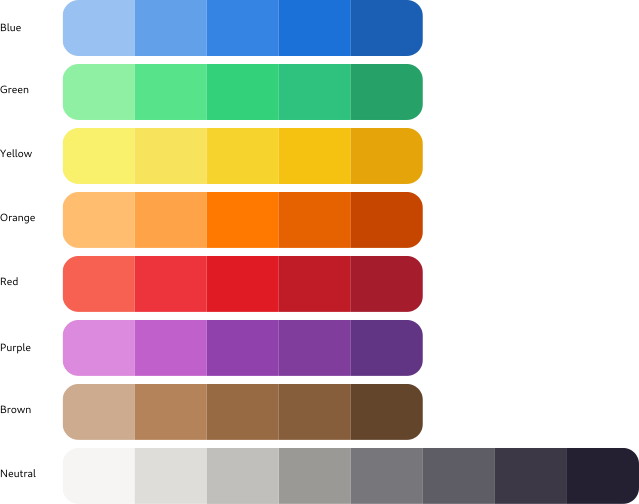 But how does one use the colors of the theme for custom application styling? For example, if I want to use the Adwaita kind of green for custom rendering via cairo. I agree with Josh that the power symbol in the toggle switch is odd. I don’t think any symbol is needed. Plenty of existing mobile/desktop interfaces just go with the horizontal pill shape + circle slider. Colored background when enabled, non-colored when off. I think a high percentage of users need no more indication than that. The symbols are more likely to just confuse users since other interfaces don’t have them. If anything a checkmark seems to be the most standard when a symbol is used. I have used it for some time now and I have to say it is not so bad after all. Still prefer the old Adwaita but not so terrible to use like in the beginning. Crucify me, my maners make me deserve it. I am not a developer but I install at least 3 themes a week into Arch Xfce but for some reason this theme doesn’t even show up in my settings after placing the extracted them into the folder. The tabs in GtkNotebook have no border. The only way to distinguish is a tab is selected is by the blue underline. This is probably a bug that should be fixed before the new theme is released. You can see this issue in the file properties dialog in Nautilus. Andrey Sh’s comment on January 15 about the saturation for the grays is a good point: The current NewAdwaita shades are a little too “warm”. When you browse through the “before” and “after” pictures she linked to in her post, you can see the difference. (Perhaps the current grays chosen for NewAdwaita may provide better contrast on a wider range of monitors? Please let us know?). Regarding the “OFF” text in the switches, the last “F” is cut-off by the right-side border of the switch, and the “O” touches the edge of the round switch. It would be nice if there were more padding around this text. The “ON” text has very good padding, since it is only two characters wide. Because the switch must to be twice as wide as its round button, the solution is not as easy as stretching the switch to increasing the left-and-right padding of the “ON” and “OFF” text– the roud button would stretch into an oval, or the switch would have too much gap in the center between the on and off positions. Automatically using a narrow font may be an option, but not all fonts have a narrow variant. Ultimately, a good compromise may be to use a smaller font size for the “ON” and “OFF” text in the switches, to give them a more professional and elegant appearance. A final option: perhaps create rounded-rectangular switches using the same radius as other UI elements such as buttons? THe button inside the switch would be a matching rounded square shape. This would offer consistency, create a unified look for NewAdwaita, while providing enough space for the “OFF” text inside the switches. fthx’s comment on January 15th and “someone’s” comment on January 16th about the folder button touching the slash in the Nautilus header path-bar is a good points. Perhaps the slashes should be replaced by a graphical element (like a chevron — a very tall “greater-than symbol”; in other words, a stretched and thinner version of “>” — it would take the same amount of horizontal space s the “/” without touching the folder buttons). Per “someone’s” comment on January 16th, the Nautilus background should not change when the view is changed (from list view to thumbnails view). I disagree with others’ comments about the calendar buttons. It is clear to me that these three buttons are a part of a group, because they all touch each other. Also, the buttons on the left and right have rounded corners, visually creating a rounded rectangle border for the entire group of three buttons. It is also clear that the Month button in this group is already pressed, while the Week and Year buttons may still be selected. Question: GTK2 Apps are not rendered using NewAdwaita theme, so they look out of place. However GTK2 apps look fine using the current Adwaita theme. What will happen with GTK2 apps when NewAdwaita is released? Is there a way to get consistent look & feel with NewAdwaita? On iOS, the 1/0 symbols can be added as an accessibility feature on on/off switch, and it’s quite important if you cannot see blue for example. I’m using gtk 3.24.5, and the new buttons seems to be blue only, without the 1/0. Would it be possible to give the possibility to re-activate this option under “Universal Access” under the “Seeing” section? i’ve been using this for a while and i really hated it. mostly about the contrast between header bars and buttons. is there any way to bring back the old one ? i appreciate if u could help me. @aRman NM: You can check out an older version of GTK 3.24 from Git, extract the Adwaita CSS, and put them into your own separate theme.